This designer fruit bowl is made from the highest quality of german silver. 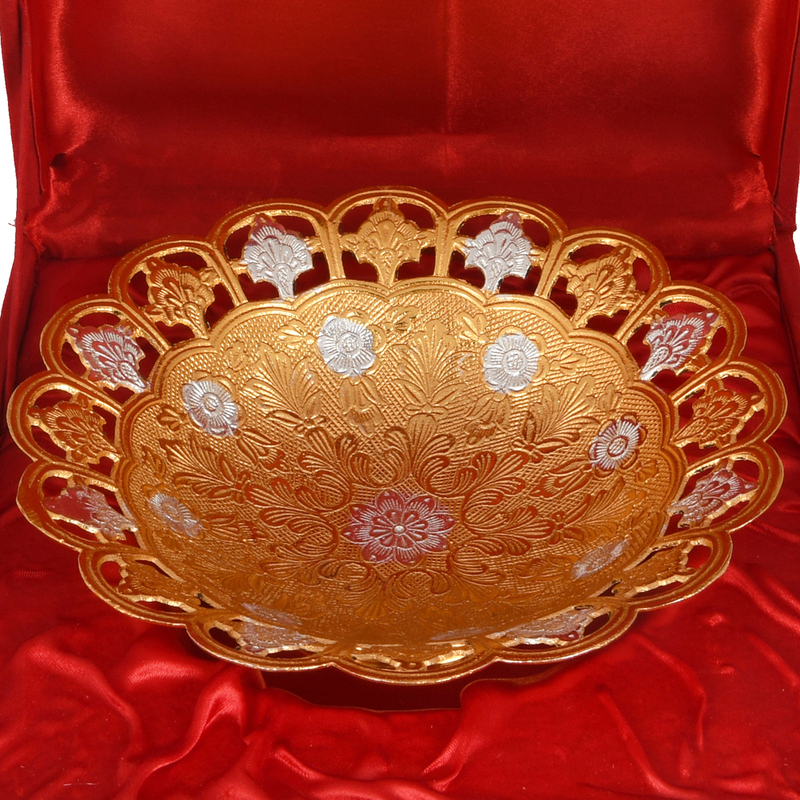 The golden hue is complemented greatly by the addition of the silver Read More..highlights. The little spaces highlighted with silver stands out and makes it look even better. This fruit bowl is an eye catcher, but not only for the colour scheme. The designing of the edge of this bowl only enhances the beauty. 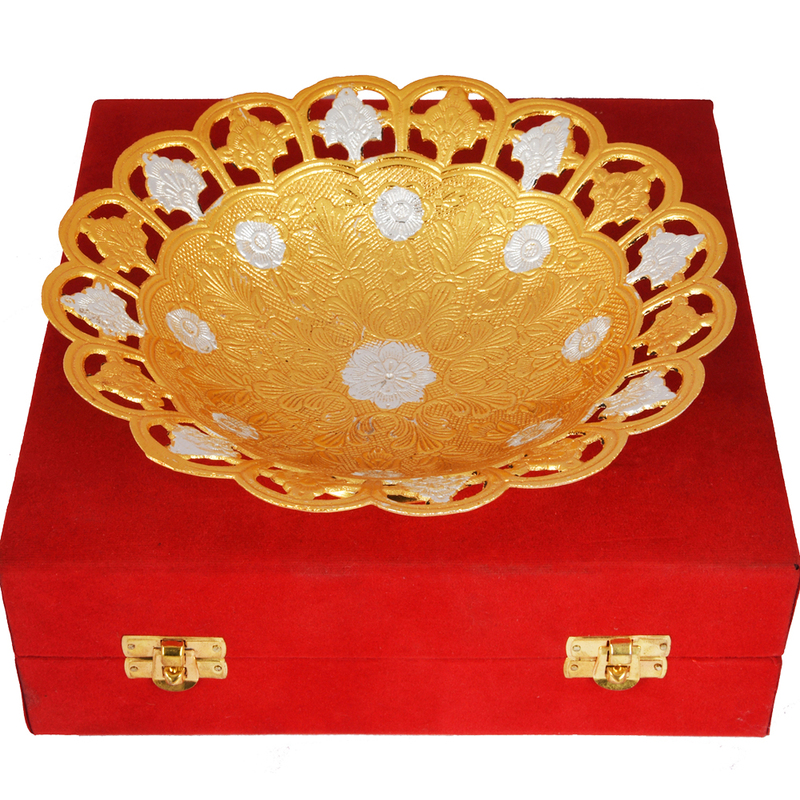 The fruit bowl comes in case with a velvet exterior which goes to show the quality of the overall product, and also prevents it from getting damaged by the elements of nature. Show Less..